For package (4 pcs. )612 грн. The percentage of people with a reduced percentage of vision using eyeglasses as a correction is inevitably reduced from year to year. This is due to the introduction of advanced technologies in the process of manufacturing contact lenses. Due to its high oxygen transmission capacity, hydrophilicity and perfectly smooth surface, contact visual correctors can be worn daily without the appearance of fatigue, irritation, sensation of dryness and redness of the eyes. B) lenses for six months (designed to be worn for six months). C) disposable (replacement occurs daily). In comparing products from ionic and nonionic polymers, the latter are more resistant to accumulation of protein deposits. Products with high moisture content are more comfortable for prolonged wear during the day, almost all patients can easily adapt to it. Such lenses do not cause irritation during long hours of wearing, during the entire period of their stay on the cornea there is a feeling of comfort. The lifetime of such products is smaller, they are more "tender" And tear with careless handling, easily dehydrated on the surface of the eye. The probability of deposition on them is higher. Products with a low moisture content are more durable and durable. They are thinner, less dehydrated when socked. The shortcomings include low oxygen penetration. Hypoxia causes corneal edema for hours using visual correctors. Among consumers, contact lenses for 3 months have gained special popularity. 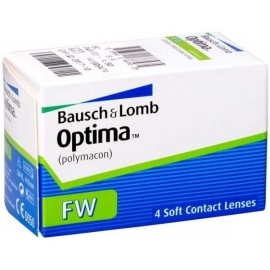 The main advantages of the replacement lens are excellent optical properties, reducing the risk of eye infection, good moistening of the entire lens surface, reducing the likelihood of mechanical irritation and allergic Manifestations on sediments, the ability to replace the products in case of damage / loss by a spare pair. At the same time, there is no need to often visit an ophthalmologist and pick up a new pair. Such visual correctors must be removed at night, that would ensure them a full cleaning and disinfection, and give the eyes a full rest. Quarterly lenses can be colored, which allows you to give the cornea the desired color and hue. 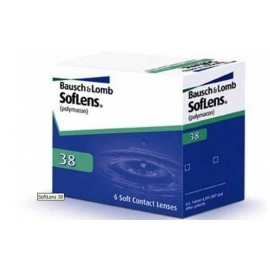 Many of the largest manufacturers have appreciated the undeniable advantages of this type of products and stopped producing half-year / annual lenses , preferring the release of exceptionally soft scheduled replacement products.